Second outing for me and second ever 10k for Lis at this gem of a local race. I’d heard of this race for several years from friends, but only took notice of it and first participated a year ago. Run almost entirely within Cannon Hill Park, the route naturally shares several similarities with the various parkrun courses of yore, so will be quite familiar to many. Naturally, there were many, many faces from the local running community, both participating and volunteering. Lis continued her focus on 10k events and also signed up, with her parents in tow to spectate. It’s a charming little race, with the proceeds going to the NICE charity, helping children with movement disorders. A year prior, I ran this race feeling like I’d barely worked. I was in much better all-round then, with results proving as much. From 5k up to the marathon, I felt like I could put out respectable performances without too much forewarning, such was the magnitude of the training improving all of my energy systems and paces. Recent parkruns have felt tricky, with a distinct difficulty in moving up to and staying in higher gears. A morning’s target of simply finishing in under 40 minutes was fine by me! My race strategy? Just dip under 20 minutes for the first half and race the second half like a 5k. Speaking with Chris Callow beforehand, he too sought after a sub-40 finish, not having done so since 2016’s Telford 10k, which I’d so miserably DNFd at. I’ve not done many races with fast downhill starts, so the novelty has yet to wear thin. Expectedly, everybody went bananas and used the advantage to bank a few valuable seconds early on. Once the course flattened out, I had to do a double take when I saw 3:29 per km pace being covered! I shared with Chris that I was dropping the anchors to pull back a touch, getting back on my plan of covering the first half of the race in just shy of 20 minutes. The 1st km with its generous descent came in for 3:50. So early on in the race, there were plenty of people around me to run alongside, and coupled with my consciously scaled back pace, it all felt rather effortless. The next 2km were coasted along at 4:05 and 4:01 pace as the race took runners to the furthest point of the course. My ability to negotiate switchbacks had not improved, especially when it involves running around a bollard! Even at a more controlled pace, I ended up grabbing the bollard with both hands to swing myself around in an attempt to not lose too much momentum for the return. Whilst my switchback talents left little to be desired, it seemed everybody else’s ahead of me was worse, because I found myself closing in on a few that had escaped me earlier. With such a narrow path back into the main park, everybody was forced to run no more than two abreast in both directions, making for quite a useful slipstream for me to take shelter from the gusts that blew. Feedback from the other side from Neil Muir and Lis indicated I was roughly in 15th place. As the group I was following slowed and splintered, I began to move from runner to runner, resulting in a not un-welcome uptick in pace to pave the way for a 3:53 4th km. Unexpectedly, I was tailing Zack Minchin, who I hadn’t seen at Cannon Hill for months. He proved to be a reliable pacer, dragging me to halfway with a 3:51 split and 19:43 for 5km. When those around me tired, I continued to jump from runner to runner to keep the pace from dropping too much. By my estimations, I’d moved up to 12th or 13th; placing in the top 10 was another goal alongside finishing in under 40 minutes. With the course somewhat slick from prior rainwater, I struggled to maintain traction on a number of the tight twists and turns that were thrown my way, especially as fatigue mounted. Wearing the Nike Streak LT3 racing flats certainly required nimble feet that morning as I nearly discovered their limits a few times! 6km came in at 3:55. Back on the long straight and heading out of the main park for the final time, I got a good glimpse of those immediately ahead of me and the leaders returning on the other side. Carl Stainton was firmly in 2nd place, with too much of a gap in front or behind him to likely change his podium position. Shaun Hemmings was in a small group for 4th, with a chance of climbing to either third or dropping down to fifth. Up ahead of me, I could see I was closing in on Darryll Thomas and the difference between us had likely reduced to just 30 – 40 seconds or so compared to the first lap. Rounding the switchback, I once again swung myself with both hands to slingshot me for the return. Unsure of what was taking place immediately behind me, I pressed on to claim two scalps ahead. Conflicting feedback from the other side suggested I was either 7th or 8th, or just outside of the top 10. My pace sat steady and did not drift from 7km onwards for 3:54. Just ahead of me was a BRAT runner, where the distance between us grew and shrank like an accordion. At one point, I was within 10m, and at other times, he easily had more than 50m on me. The finish for this race was awkwardly located within some of Cannon Hill Park’s inner paths, making identification of the actual finish line and big sprint finishes quite a challenge. I’ve lost a lot of finishing power this year, and with nobody immediately in front or behind me, I could only muster a half-hearted attempt despite cheers from the side lines. I finished feeling pretty damn good and certainly better than recent parkruns at a reduced pace! Darryll came over to share that he scored a PB by some 30 seconds or so, continuing his triumphant year of achievements (including an unexpected 1st v40 prize). It was only when he commented that I must have been close to a PB that I remembered to check my finishing time. 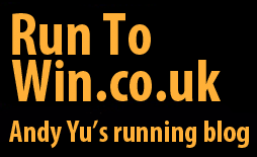 38:47 stared back at me – just another 3 seconds would have secured a fresh 10k best! I really had no clue I was so close, especially as I’d consigned myself to just wanting a sub-40 finish and a top 10 position, which I just sneaked into with 10th. Carl finished in 2nd place as anticipated, agreeing that there was too much of a gap either side for a major podium shakeup. Shaun finished in 4th, improving upon a year ago by 3 minutes. Lis improved upon her 10k PB, originally set at the Wolverhampton race by some 4 minutes. Despite her protestations, I keep telling her that she’ll easily go under an hour with 2 months of consistency behind her. I care not that I just missed a PB by such a fine, unknown margin. I had a thoroughly enjoyable morning in the company of some fine members of the local running community, who I’m pleased did achieve PBs and prizes. Lis knocking 4 minutes off her 10k best meant the Yu household was not devoid of PBs to be celebrated. What this race has highlighted is that I’m not in bad shape at all after the Yorkshire Marathon. Targeting 83:30 or better in January’s Brass Monkey Half Marathon doesn’t look like it’ll be a fool’s errand, with plenty of time between now and then to capitalise on the improvements from a change in stimulus, namely a focus on lactate threshold and half marathon pace. The next upcoming race will be the Sneyd Christmas Pudding 10 mile, which should prove to be a reliable gauge of potential as well as being a potent stimulus in and of itself. The first of several half marathons scheduled in as training runs – read on to find out how things went. I almost signed up for this race in 2015 and 2016 – the latter especially so because of the PB near-miss at the Cardiff World Championship Half Marathon. For whatever reasons, I opted not to, but decided to give it a whirl this year to kick-start my marathon programme with gusto! As touched upon recently, I intend to use various half marathons as marathon pace training runs to better prepare me for October’s Yorkshire Marathon. 13 miles of marathon pace as a solo run is quite taxing, whereas it’s far more tolerable in the company of others in my experience. Whether any of these races become PB attempts is completely up in the air at the moment; I’ve no pressure for a half marathon PB with the marathon being the priority. Taking almost an hour to get to the leisure centre-come race HQ meant leaving Birmingham shortly after 08:00, factoring in race number collection into the mix along with other pre-race admin. Surprisingly, or perhaps not, I didn’t recognise a single face before or during the race. Also surprisingly, or perhaps not again, finding a spot towards the front of the start area was incredibly civilised – I’ve encountered more pushing and shoving at parkruns! On the sound of the hooter, we were off. I’m going to split this section up into two halves, since that’s largely how the race transpired for me. Weather conditions indicated I was likely to be in for a rough ride; temperatures of around 16°C and strong winds of up to 12mph hit and meant there was little wriggle room for error. Even at 10am, I was working up a sweat due to the unfamiliarity with the warmth, so I hung on to my bottle of Lucozade to sip on. I homed in on marathon pace quickly, though did identify the slight uptick in effort required due to above said conditions at play. Lots of runners were targeting a sub-90 finish, so there were plenty of others to run with in a bid to keep the effort low. Whilst the course was reasonably well marshalled, much of the time was spent on live or semi-live roads with very few closures in place. Jumping from pavement to road grew tiresome, so I quickly planted myself just a few inches away from each kerb for the remainder of the race. Miles 1 and 2 ticked by for 6:51 and 6:52 respectively; nit-picking, I’d have liked to have been firmly at 6:49, which will be the target to lock in to on the next race-come-training run. A water station appeared shortly after mile 2. Whilst a touch early by traditional race expectations, it turned out to be rather welcome as it got warmer. Giving runners small bottles was a God-send, where I was able to successfully drink half and spray the other half over myself, rather than fumble with cups. Runners around me grew sparse, with many falling back as the unideal conditions took their toll. I had to make a few decisive moves to join groups ahead for fear of being left in no-man’s land early on. Miles 3 and 4 stuck to pace for 6:48 and 6:51 respectively. I could feel the effort to stay on target marathon pace ratcheting upwards, which was hardly surprising as this became my longest stretch of continuous effort at such a pace since January. What the race gave me was valuable, tangible feedback of where I stood in relation to where I wanted to be. Shortly after mile 4, another water station appeared for yet more welcome relief. Quite why they had 2 water stations in the first 4 miles, I’m not sure – a combination of ease of set-up on the course, and wanting to give runners water early on, I suspect. Finding a rhythm on the course proved challenging. If it wasn’t undulations that distracted, it was the presence of cars driving alongside and overtaking runners that meant my attention was never fully immersed in either task. The course began to climb significantly from mile 5 onwards and proved too much for one chap, causing him to start walking. I slowed to check on him, which turned out to be a combination of too much sun and a stitch before he ushered me on. The climb from mile 5 onwards cleared the board significantly and left me with few other runners to work with. All of the compounded factors worked against me for a pretty ghastly time out there as I hung on to marathon pace that was slowly slipping away. Unusually, I did pass two Italian runners who were liveried up as if they were running a big city race. The climb finally peaked shortly after 8 miles to produce splits for miles 7 and 8 respectively of 6:55 and 6:59 – not a train wreck, considering the struggle to maintain pace earlier on the flat, though this prominent feature of the course did probably push me over the edge. Turning the corner, I allowed my legs to loosen up a little to take advantage of the descent. Unhelpfully, I was now following a straight-line route all the way back to the finish with a face full of headwind! I’d picked up a blister underneath my right toe along with a swollen nail, whereas my left foot was seizing up at the arch to make for a pretty sorry time of it all. Running alongside me was a chap that was the spitting image of Jort from Cannon Hill parkrun, though I knew it couldn’t possibly be him as he was in the Cotswolds with the rest of the BRAT club. This didn’t last long as he crept away to join the pack in front. Miles 9 and 10 held steady at 6:56 and 6:59, which I probably could have maintained except another sharp climb disrupted my rhythm again whilst going into the final 5k. Mile 11 became my worst offender at 7:22 and that’s when I decided to back it off for good and just coast back into town. I was spent and had little appetite to slog it out and prolong my recovery. A random spectator on the side of the road shared that it was all downhill back into town, leaving me with just the headwind to frustrate. The group ahead were some 20 to 30 seconds away, with roughly the same behind. The crowds swelled on both sides of the road to cheer me on, so I reciprocated with a few waves and thumbs up for their generosity. I finished with 1:31:15, so some 75 seconds lost exclusively in the second half. Being kind, I at least covered 6 miles at marathon pace. Being charitable, you could even say I covered 10 miles at marathon pace with the warmth, climbs and headwind factored in. Those three challenges above will need some work. Becoming better heat acclimated will take care of itself; we’re entering summer shortly and there’ll be no shortage of hot and humid conditions to train in. The climbs and headwind will take a little more elbow grease to crack, perhaps with some 800s at pace on long inclines. I lost a lot of strength from my left leg due to the injury, and it was already the weaker of the two when I was in peak shape, so possibly some additional strength work with weights may yield results. There’s no sour grapes over yesterday – only onwards and, hopefully, upwards! Despite this race being virtually on my doorstep, it was not originally on my radar for this year. Suffering my post-injury funk, it was Dave Burton that suggested I enter this and the Great Birmingham 10k as soft targets to work towards. Well, the Great Birmingham 10k ain’t happening for me (mix up of dates and availability), and Dave didn’t participate in the Ronnie Bowker 10k, though I did manage to rope Simon Bull into signing up. Deciding to jog to Cannon Hill Park as my warm-up, I definitely left it a bit late to get to race HQ. Reaching the MAC, a lengthy queue awaited leaving less time than ideal to collect my number and get all of my pre-race admin in order. Being a local race also meant a lot of folks to talk to from local clubs and Cannon Hill parkrun – apologies if I had to cut any of my conversations short before the race! Whilst I had a target of skimming sub-40, I had a feeling such a finish would be unlikely. I’m only just getting back into regular training, with this week being my first without interruption or injury since December for 35 miles. Running parkrun the day prior, even whilst at a slower than usual pace, meant there was no taper, either. Oh, and throw on the sudden heat wave to the pile of excuses, too! The scramble off the line was nuts; it was like the start line of a 5k in much cooler temperatures rather than a 10k on the warmest day of the year. I settled into target pace with the aid of drafting behind another runner. My aim was to keep the first half feeling as relaxed and composed as possible to allow for a swifter second half at around normal 5k pace. Not my finest pacing, but I was at the mercy of the other bloke doing much of the hard work to shield me from the wind. Only thing of note in the first half was almost having to wrestle a cup of water away from the volunteer to throw over myself! I was able to maintain the momentum briefly for a 4:01 6th km, though my pace also deteriorated. An ugly 4:16 7th km signalled a sub-40 finish was probably no longer possible, leaving too much work left to do in too little time. On the return from the turnaround point on the second lap, I received new information that I had moved up a few additional positions to sit at 9th place. Re-entering the main park, I gritted my teeth in an attempt to squeeze more out of my under-trained and withered body. It resisted and even gave me cramp in my left foot for daring to attempt something so ridiculous! By the time I’d reached the MAC for the second time, retrieving two cups of water to throw over myself was much more successful. 8th place was within striking distance as I was finally able to free up some resources for an injection of pace. Encouraging the Warley Woods Pacer on, little did I realise it was Carl Stainton’s club mate, Mike Harrison – somebody I should have recognised as he’s in my network of Garmin Connect and Strava followers (epic fail). Rounding the final corner, I kicked on and could see Darryll was now perhaps 150m away, and that sub-40 was perhaps back on. I threw in everything I had left whilst willing the finish line to move closer by a few metres. My Garmin had yet to beep to indicate I’d reached 10k, so maybe, just maybe, I was in with a slim chance still? I crossed the line and exhaustion immediately set in, commanding that I sit myself down. My breathing continued to chug away like a steam locomotive, whilst sweat dripped profusely – there was little more I could have done given the hand of cards I’d been dealt. Checking my Garmin, I learned I’d crossed the line in 40:15 and that I’d only logged 9.87km/6.1 miles to explain why my Garmin had yet to beep. Being a glass is half full kind of guy, I guess the good news is I still came away faster than the 2015 race which will have had an uninterrupted build-up along with two half marathons (one a PB) as part of the cycle. Work to be done, for sure, but I haven’t drifted backwards nearly as much as I feared in the grand scheme of things. The data indicates this will have been a rather powerful training stimulus, so it’s onwards and upwards from here! I was finally on the mend after the misery of being ill! Oh, and welcome to 2017! Many months ago, I completed a survey about my experiences as a run-commuter. In fact, it was so long ago that I’d completely forgotten I participated until I received an email from its organiser, Simon Cook, asking if I would participate in an interview to cover my responses in more depth. Despite not formally belonging to any sort of running group affiliation, I do very much identify myself as a member of the running community and feel duty-bound to help where I can. During the interview, we deep-dived into questions, such as what equipment I utilise when run-commuting, my choice of route, what I think about, and much, much more. Originally stated to last between one and two hours, Simon and I were discussing my thoughts for more than three hours by the very end! I didn’t think there was possibly so much to review, especially for what I still consider is a niche within running, though I was clearly proven wrong. I promised Simon I would share the link to his survey for further quantitative data, and here it is: The Big Run Commuting Survey. Please complete it, even if you think your experience of run-commuting is limited – Simon wants to also explore why more people don’t run-commute. I grew more and more conscious that with the Brass Monkey Half Marathon looming ever closer, I had missed a few too many long runs as part of this training cycle due to circumstances beyond my control. On this particular day, it was almost two weeks since my previous distance run of any significance; prior to that run, it was another two weeks since the last one… Missing: aerobic and endurance ability. Reward for its safe return. Grabbing the bull by the horns, I embarked on the long-delayed 15 mile run that was scheduled. After two miles or so, I very quickly identified I was still unwell, albeit at least coming to the end of my ailments. The perceived effort of running was far greater than anticipated, and empirical feedback from my Garmin and heart rate monitor confirmed as much. Prior to being hit by the lurgy, I was able to run between 7:30 and 8:00 per mile at distance, in exchange for around 70% of maximum heart rate. On this occasion, I was barely clearing 8:40 per mile and clocking in at 75%+ of maximum heart rate! Needless to say, I cut the run dramatically short and turned around for home after just over 3 miles. Here’s the Strava data for this rather demoralising run. This was the first of three Parkruns over the weekend, thanks to the next day’s New Year Double. It was nice to be back at my home event with the familiarity doing my soul a lot of good. The strategy was to keep the effort and pace at around half marathon levels for some specificity, but also to avoid crocking myself before having completed all three planned runs. Spending much of the run with Huw Jones and Matthew Lewis, I cheekily took shelter in their slipstream to facilitate the need for ease. We even spotted GB triathlete elite, Jodie Stimpson, as we approached the triangle. This was my third New Year’s Day Double, and second specific pairing of Brueton and Perry Hall events. I was joined by Simon Bull, who I had convinced to come along after successfully talking him into also partaking in a Christmas Day Parkrun a week prior. The challenge of the New Year’s Day Double isn’t so much being able to run both (pace and effort management), but rather simply being able to stay loose and warm between runs – tricky with the 2017 weather of freezing cold rain… There were plenty of familiar faces as mad as Simon and I, taking on their first of two Parkruns. The organisers opted to move the start and finish a few hundred metres to facilitate swift getaways for those moving on to a second event afterwards. What this meant for runners was an incredibly slow and congested start, not helped by an inaudible “Go”, and the initially narrow path and several turns thrown at us. With the slow opening, I had some work (14 seconds or so) ahead of me to jump back on-board the sub-20 train. Within just the first 2km, I was pretty much soaked to the bone and struggling to stay warm with the wind also tearing into me. I still wasn’t fully recovered from the previous day’s 5k, and lack of sleep meant I was pretty much running on fumes. Even with a kick at the end, I still narrowly missed out on a sub-20 finish to land 20:02. Here’s the Strava data for this run. Once regrouped with Simon, we hightailed it out of Solihull and made our way over to Perry Hall’s event. We first had to make two pit stops: one to pick-up my wallet from home, and two to fuel up the car. Thankfully, we were still lucky enough to bag one of the final spaces in the car park before it filled up shortly after our arrival. With not enough time to get an adequate second warm-up in, the perishing cold rain hit us hard and then the shivering began… A knowing nod, like a badge of honour, was given to those we identified earlier from Brueton Parkrun. Out on the course, it became obvious very quickly that I wasn’t going to even come close to sub-20. My legs were fooked, my clothes and shoes were heavy from the rain, and the wind picked up to slam into runners. I ran Perry Hall’s new course for the first time several weeks ago, though I was unsure of whether I preferred it or not. I’ve now concluded I prefer the former two lap configuration with grass over the new three lap course with multiple switchbacks; I find the turnaround points have a tendency to kill pace and momentum and require a certain skill or finesse to navigate efficiently – talents that I lack. In the end, I finished with 20:45, though was pleasantly surprised to finish in sixth place, and could have finished fifth with just a little more welly at the end. A well-deserved rest and a hot shower beckoned! Here’s the Strava data for this run.